Shipments from oil and gas projects in Yamal accounted for the vast majority of the goods. A total of 9.95 million tons of goods have so far this year been shipped to and from ports on the Northern Sea Route. That’s an increase of 81 percent, the top official in Russia’s Federal Agency for Maritime and River Transport said in an interview with PortNews. By August 24, a total of 9.95 millions of goods had been shipped on the route, compared with 5.5 million tons in the same period in 2017. The Novy Port project in the Yamal Peninsula accounted for the biggest part of the goods. A total of 4.35 million tons of oil were shipped from the oil terminal in the period. The port of Sabetta accounted for the second biggest share with its 3.95 million tons of LNG shipped out. A total of 600 ships entered the waters of the Northern Sea Route in the period, of them 60 carrying foreign flags. The Northern Sea Route includes the areas between the Novaya Zemlya in the west to the Bering Strait in the east. 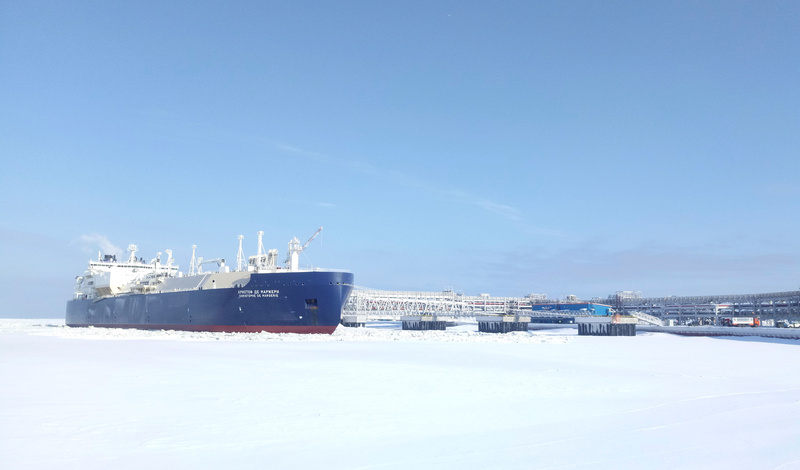 Data from the Northern Sea Route Administration show that on August 24 there were a total of 81 ships located in the waters of the Arctic seaway. Most of them were located in the area around the Yamal Peninsula. There were also oil tankers and LNG carriers shipping across the eastern part of the route towards the Pacific Ocean.